The floor man finally comes to measure up and informs us that we can't have a wooden floor at all. Oh dear. Rethink time. L had ideas of a film to see this weekend but I fancied something a bit more gritty, so we head over to Quad for ‘Ginger and Rosa’, although it was probably in the end more bitty than gritty. This is the story of two girls who were born on the same day in the same hospital in 1945 as WWII ended. The film implies that this was possibly even the very day the atom bomb was dropped on Hiroshima. The pair grow up as inseparable friends until we get to 1962 when, now 17, teenage hormones have to via for attention with the Cuban missile crisis, as once again the smell of nuclear warfare hangs in the air. Ginger (Elle Fanning) is the daughter of a conscientious objector, Roland (Alessandro Nivola). Typically he’s now a lecturer, a part-time author writing books about ‘Freedom’ and rather smugly left wing. 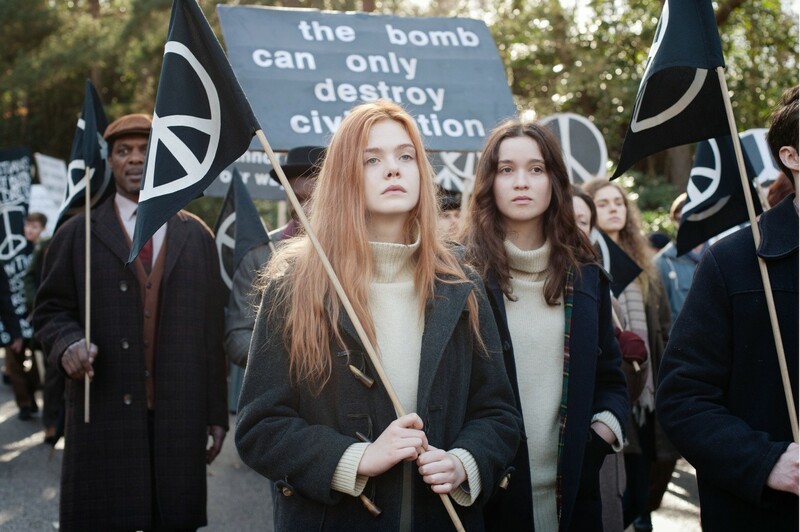 Ginger takes this all on board, follows the politics of the Cold War and spends a lot of time worrying about how many days they all have left to live. Meanwhile Roland’s marriage to Natalie (Christina Hendricks) is on the rocks, so it’s easy for Ginger to take sides if she wants to. She chooses her father’s more ‘bohemian’ side, she adores him but has little time for her more straightforward mother. He’s not a great role model and nor are the other adults in the film. 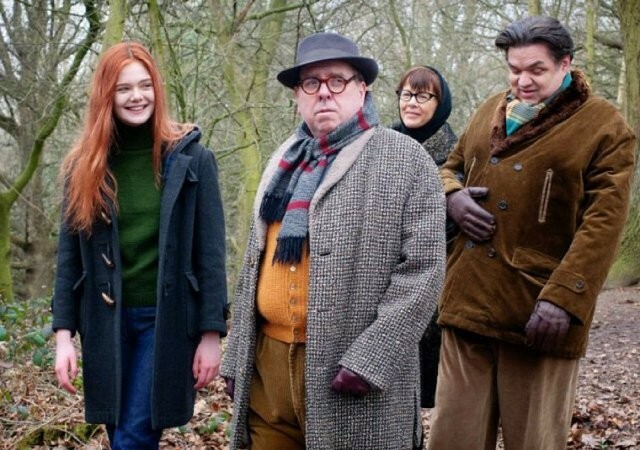 Oliver Platt and Annette Bening appear as an American couple who influence Ginger into joining CND, going protesting and then consequently getting arrested. At least I think they’re supposed to be American as they don’t attempt to hide their accents. Timothy Spall meanwhile, has no accent problems. 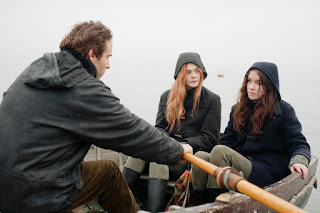 Her bestest friend though, Rosa (Alice Englert), is the complete opposite and her home is already broken. She turns to religion and boys rather than politics but adores Ginger’s father as much as Ginger herself does. Seemingly equally charmed by Ginger’s dad, Rosa starts sleeping with him, which understandably shatters the close friendship of the girls a touch. Whether Ginger agrees with her self-indulged Father’s belief in the 60’s mantra of free love or not, perhaps even Ginger realises that practising this idealism so close to home is a tad selfish and maybe perhaps his other mantra, saving the world, could have waited until after he’d saved his family? Or it may have gone over her head. Ginger and Rosa are basically two teenage girls that you want to slap, nothing unusual there then, and then of course there’s a husband you probably want to slap as well. Well slap might be a bit too kind. It’s an interesting film but more of a film about growing up in turbulent times than an enlightening piece about the changes taking place in the world at that time, about which it says little. The acting is generally pretty good though, if you ignore the annoying fact they’ve imported so many American actors and their accents into a British film. Elle Fanning, a 13 year old playing a 17 year old, is impressive.